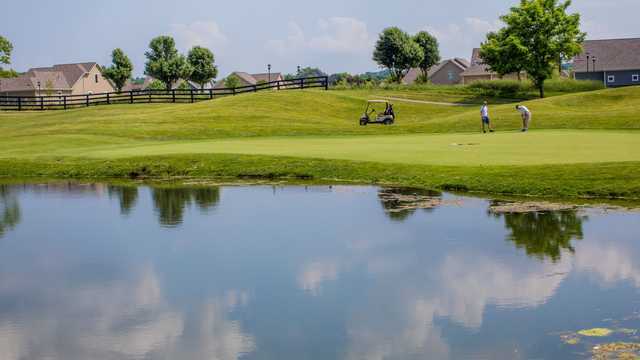 The golf course at Windy Knoll Golf Club is one of the newest in the Springfield area and an excellent addition to the rich golf tradition of Ohio. The links-style course honors this tradition while this Brian Huntley design (formerly with Arthur Hills) has masterfully preserved and integrated many of the characteristics of the original horse farm. You're sure to enjoy the course in addition to our wealth of amenities, adding comfort and convenience to your golf experience.